Best of Rover Spares LTD. With a plethora of parts available on the shelf, we should have the part you require. Prices remain in force until we publish new prices on our website. It represents the standard we aspire to achieve on goods marked as such. It represents the standard we aspire to achieve on goods marked as such. Best of Rover Spares LTD. With a plethora of parts available on the shelf, we should have the part you require. Prices remain in force until we publish new prices on our website. NEW REAR GAS SHOCK ABSORBER TO FIT THE FOLLOWING>. ROVER 211,214,216,220D RF MODELS 1995 to 2000. THIS IS A QUALITY MONROE PART AND NOT A CHEAP IMPORT. THE COMPATIBILITY IS NOT ALWAYS 100% CORRECT. 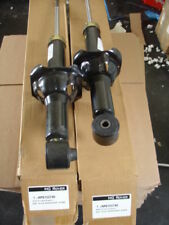 New Rover REAR Gas Shocks as fitted to Fitted to: Rover 214, 216, 220 D, Incl. 200 Vi,Si, SD, SDi (RF Models) 1996 - 03 - 2000. Supplied in the original Factory Boxes. Note : These are the type with a bush at the bottom of the shock absorber (see picture) if yours has a fork these will not fit your car. ROVER 214 SI,216 SI RF MODELS 1995 to 2000. THIS IS A QUALITY SACHS PART AND NOT A CHEAP IMPORT. NEW REAR GAS SHOCK ABSORBER TO FIT THE FOLLOWING>. THE COMPATIBILITY IS NOT ALWAYS 100% CORRECT. MOST OF OUR PARTS ARE MADE TO ISO / TUV APPROVED STANDARDS. NEW REAR GAS SHOCK ABSORBER TO FIT THE FOLLOWING>. ROVER 211,214,216,220D RF MODELS 1996 to 2000. THIS IS A QUALITY KYB PART AND NOT A CHEAP IMPORT. THE COMPATIBILITY IS NOT ALWAYS 100% CORRECT. AMORTIGUADOR DELANTERO DERECHO MG ROVER SERIE 25 Classic, Año: 1999, 22191149. Referencia : RND105860. -Estamos en: Camino de la Estación n 15, Catral (Alicante). -Horario: 08: 30 - 14: 00 y de 16: 00 - 20: 00. Código interno para información: 319399. Ofrecemos atención rápida, personalizada y envíos a toda España. Todo tipo de recambios de ocasión. -Estamos en: Camino de la Estación n 15, Catral (Alicante). 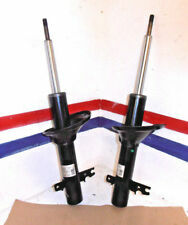 ROVER 25 1.4 Shock Absorber (Single) Rear 99 to 05 Damper Boge. Let BOGE give you the edge! Shock Absorber Type Gas Pressure. Shock Absorber System Twin-Tube. Shock Absorber Mounting Type Top pin, Bottom eye. Código interno: 214733. Amortiguador delantero derecho MG ROVER SERIE 25 2.0 iDT, Año: 2000. Wir können es überprüfen. Nous pouvons le vérifier. AUSTIN RPD102970. ROVER 200 Hatchback (RF) 211 Hatchback Petrol 01/1998 03/2000 FWD 8 60 44. ROVER 200 Hatchback (RF) 214 i Hatchback Petrol 11/1995 03/2000 FWD 8 75 55. ROVER 200 Hatchback (RF) 214 Si Hatchback Petrol 11/1995 03/2000 FWD 16 103 76. Código interno: 214739. Amortiguador trasero izquierdo MG ROVER SERIE 25 2.0 iDT, Año: 2000. Wir können es überprüfen. Nous pouvons le vérifier. 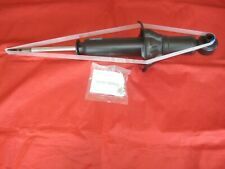 1.4 Petrol - Strut With Coil Spring Delphi Make - In Good Working Order. Your item will need to be signed for. Compatibility is a guide only. Part Number. Other Details. 25 IMPRESSION. TRIM LEVEL. 1.1 Petrol - In good condition. Your item will need to be signed for. Compatibility is a guide only. All of our parts are marked with smart water for Security. Other Details. I MK1 Facelift 1999 - 2005. Código interno: 214737. Amortiguador trasero derecho MG ROVER SERIE 25 2.0 iDT, Año: 2000. Wir können es überprüfen. Nous pouvons le vérifier. •GENUINE USED MG PARTS•. Used item in good condition full working order. AMORTIGUADOR DELANTERO DERECHO MG ROVER SERIE 25 Classic, Año: 2000. Referencia : RND105860. -Estamos en: Camino de la Estación n 15, Catral (Alicante). -Horario: 08: 30 - 14: 00 y de 16: 00 - 20: 00. ROVER 200 Hatchback (RF) 211 Hatchback Petrol 01/1998 03/2000 FWD 8 60 44. ROVER 200 Hatchback (RF) 214 i Hatchback Petrol 11/1995 03/2000 FWD 8 75 55. ROVER 200 Hatchback (RF) 214 Si Hatchback Petrol 11/1995 03/2000 FWD 16 103 76. AMORTIGUADOR DELANTERO IZQUIERDO MG ROVER SERIE 25 Classic, Año: 2000. Referencia : RND105860. Ofrecemos atención rápida, personalizada y envíos a toda España. Recambios de ocasión. -Búscanos en: Camino de la Estación n 15, Catral (Alicante). Amortiguador trasero derecho MG ROVER SERIE 25 Classic, Año: 2004 190026. Referencia : 102950. Ofrecemos atención rápida, personalizada y envíos a toda España. Todo tipo de recambios de ocasión. -Búscanos en: Camino de la Estación n 15, Catral (Alicante). Amortiguador trasero izquierdo MG ROVER SERIE 25 Classic, Año: 2004. Referencia : 22190026. Atención rápida, envíos a toda España. -Estamos en: Camino de la Estación n 15, Catral (Alicante). -Horario: 08: 30 - 14: 00 y de 16: 00 - 20: 00. Referencia : RND105860. -Búscanos en: Camino de la Estación n 15, Catral (Alicante). -Horario: 08: 30 - 14: 00 y de 16: 00 - 20: 00. Ofrecemos atención rápida, personalizada y envíos a toda España. 2004 Rover 25 1.4 ( 1999-2005 ). Suspension strut ( FITS RIGHT SIDE ONLY ). Spring & shock in good condition, no leaks. SWAG 22 93 0284. ROVER 75 Tourer (RJ) 1.8 Estate Petrol 08/2001 05/2005 FWD 16 120 88. ROVER 75 Tourer (RJ) 2.0 CDT Estate Diesel 08/2001 05/2005 FWD 16 115 85. ROVER 75 Tourer (RJ) 2.0 CDTi Estate Diesel 02/2003 05/2005 FWD 16 131 96. 2004 Rover 25 1.4 ( 1999-2005 ). Suspension strut ( FITS LEFT SIDE ONLY ). Spring & shock in good condition, no leaks. 2002 Rover 25 ( 1999-2005 ). Suspension strut ( FITS RIGHT SIDE ONLY ). Spring & shock in good condition, no leaks. Fitting Position: Front Axle; Fitting Position: Rear Axle. Fitting Position: Front Axle; Fitting Position: Rear Axle; Doors: 3. Fitting Position: Front Axle; Fitting Position: Rear Axle; Doors: 4. Fitting Position: Front Axle; Fitting Position: Rear Axle; Vehicle Production Country: USA; Ch. Ammortizzatore, tipo fissaggio. Ammortizzatore, sistema. Tipo ammortizzatore. Ammortizzatore, tipo. Ammortizzatore con reggimolla. 25 1999 -2005 Strut Petrol 1.4, 1.6 Eng. Part:LF Strut. This LF Strut was removed from a2001 car and has been fully inspected. lc : j.11. 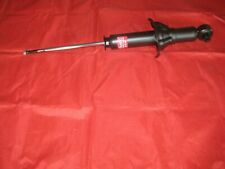 Item Specifics:2004-2007 - 1.4 PETROL - LEFT FRONT - STRUT / SHOCK. 25 2004 -2007 Strut. Part:LF Strut. This LF Strut was removed from a2005 car and has been fully inspected. 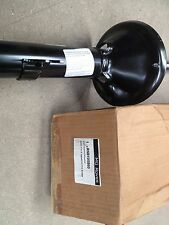 25 1999 -2005 Strut Petrol 1.8 Eng Standard. 25 1999 -2005 Strut Petrol 1.4, 1.6 Eng. Part:RF Strut. This RF Strut was removed from a2001 car and has been fully inspected.